How does Lindenwood University help you with Reverse Transfer? Lindenwood will work with students to help send transcripts to our partner 2 year institutions in order to facilitate the reverse transfer process. 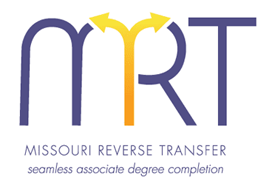 Missouri Reverse Transfer is set up so that you as the student do not have to do a lot of work. We want this to be seamless and easy. You will need to give us permission to share your transcripts with your 2 year college so please fill out this form (MRT Opt-In Form) and turn it into the Reverse Transfer Coordinator.